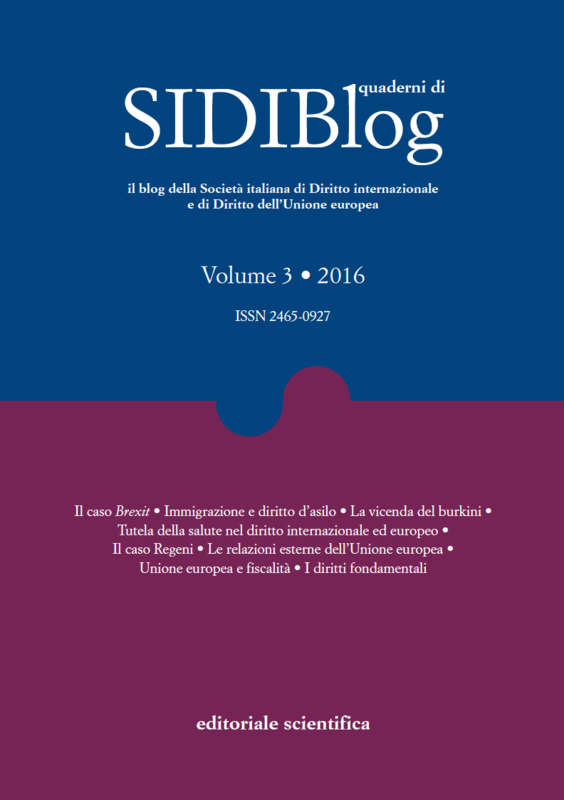 Federico Casolari è Professore associato di diritto dell’Unione europea presso l’Alma Mater Studiorum – Università di Bologna, dove insegna Diritto dell’Unione europea e Diritto globale e sovranazionale. È altresì membro della Flying Faculty della China-EU School of Law (CESL), della Faculty della Summer School “EU Disaster Response Law in an International Context” (Università di Milano) e del Centro Internazionale Ricerche sul Diritto Europeo (C.I.R.D.E.) dell’Università di Bologna. Federico Casolari is Associate professor of European Union Law at the Alma Mater Studiorum – University of Bologna, where he teaches EU law and Global and supranational law. He currently serves as member of the Flying Faculty of the China-EU School of Law (CESL), and member of the Faculty of the “EU Disaster Response Law in an International Context” Summer School (State University of Milan). He is also member of the International Research Centre on European Law (C.I.R.D.E.) of the University of Bologna.